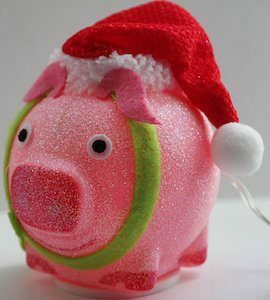 If you are looking for a fun Christmas decoration for on your desk at work or at home then this Christmas pig is what you want. This pig is made by Philips and just plugs into a USB port of a computer or power source and then the little pig will light up and even change color. The LED light is just what you need to bring fun to the holidays even if you have to work. And the Christmas pig is dressed up festive to as it is wearing a Santa hat and seem to have a green beard. Come and get your USB Powered Christmas Pig Light. You may wonder what a toothbrush is doing at this tech gadget site. This toothbrush made by Philips is a piece of high tech fun that you don’t find in most toothbrushes. Let start by saying that Philips made a real nice great electrical toothbrush that will removes up to 100% more plaque in hard to reach places then a manual toothbrush. OK lets that be it about the toothbrushing part. What is cool about this toothbrush is that it comes with a glass. You wonder what is cool about a glass. Simple the glass comes with a charging base and then when you just put the toothbrush in the glass it will charge it self. No more wires or batteries just do what you normally do, place you toothbrush in a glass. And then the Philips Sonicare DiamondClean Toothbrush comes with a travel case with a USB charger so even there it cool because who has a USB toothbrush? All in all the coolest toothbrush I have ever seen. Check it out for your self go see the Philips Sonicare DiamondClean Toothbrush.